6-8" tall x 10-12" spread. Heat tolerant with high impact color in greens or bronzes. 14" tall x 14-16" spread. 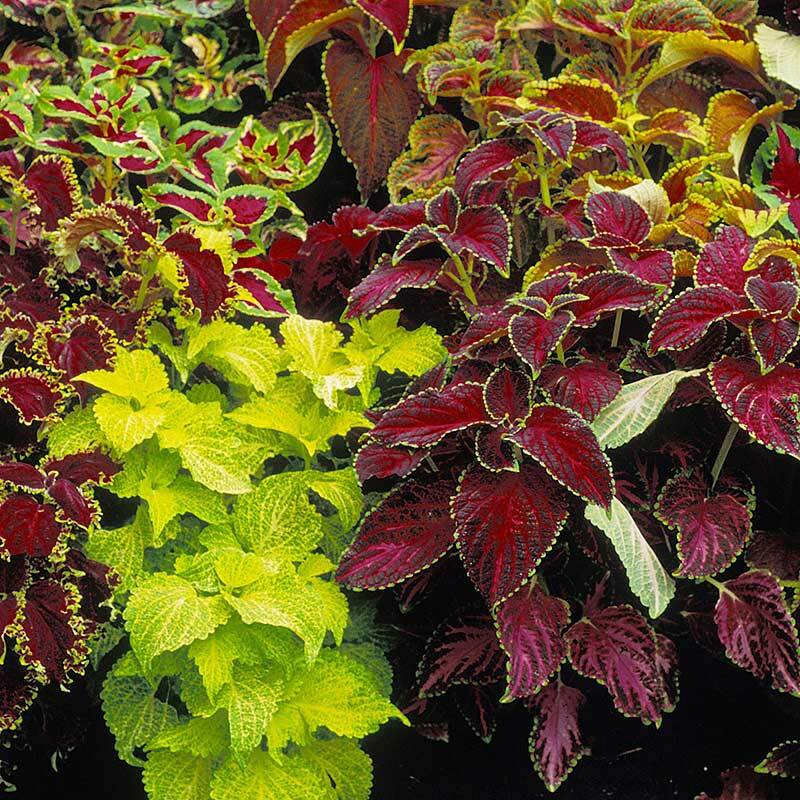 New leaves cover old plumes so plants keep "fresh look" all season. 12-14" tall x 10-12" spread. 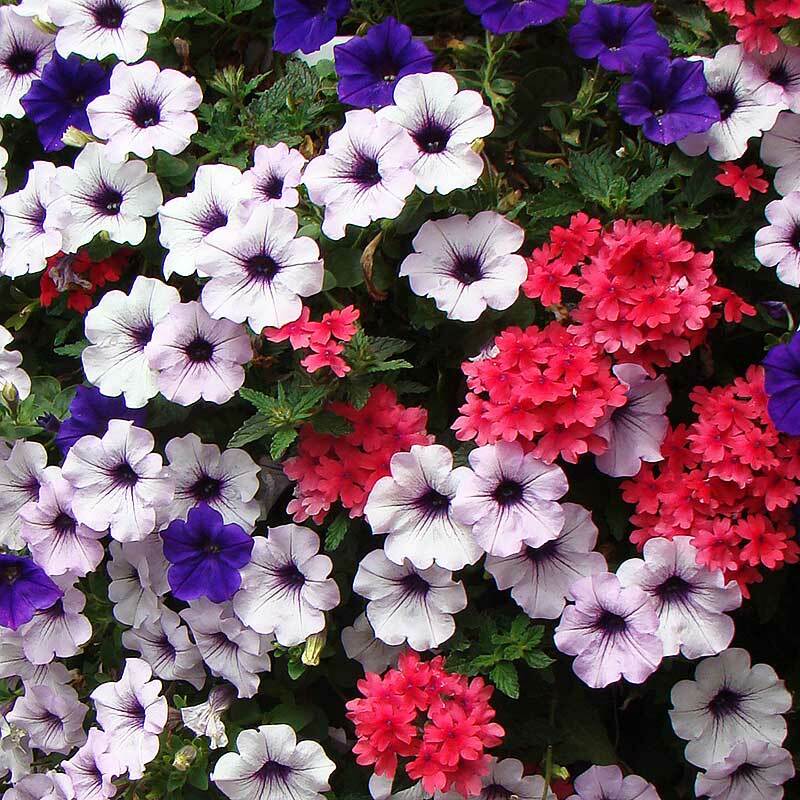 Good for planters, baskets or gardens. 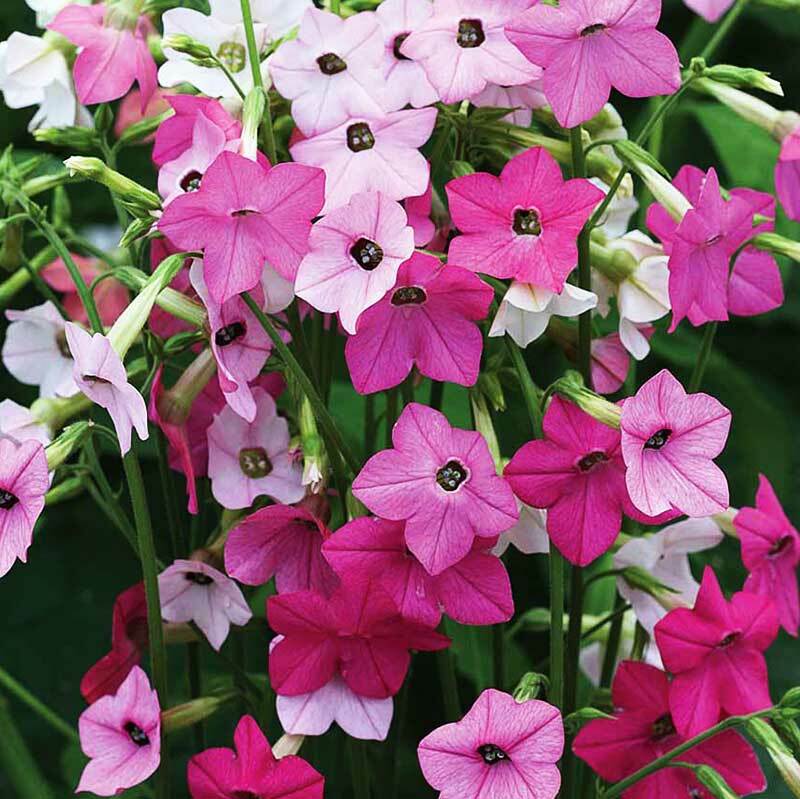 Easy care and late flowering. Golden, Mix Velvet Red. 8" tall x 8-12" spread. 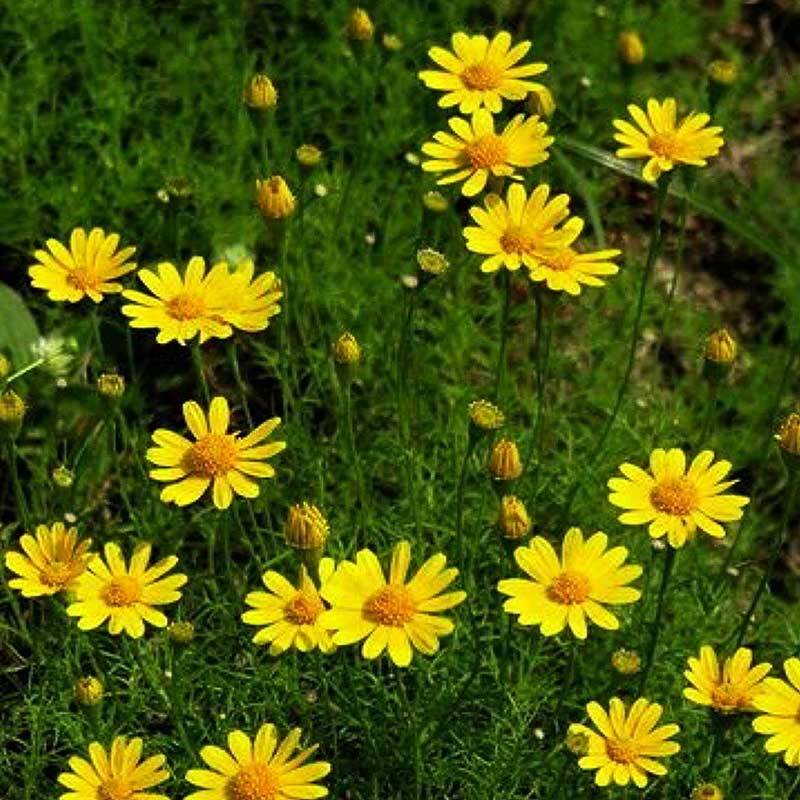 Golden yellow flowers crown mounded fine-leafed plants. Good for containers or garden. 8" tall x 10 x 8" spread. 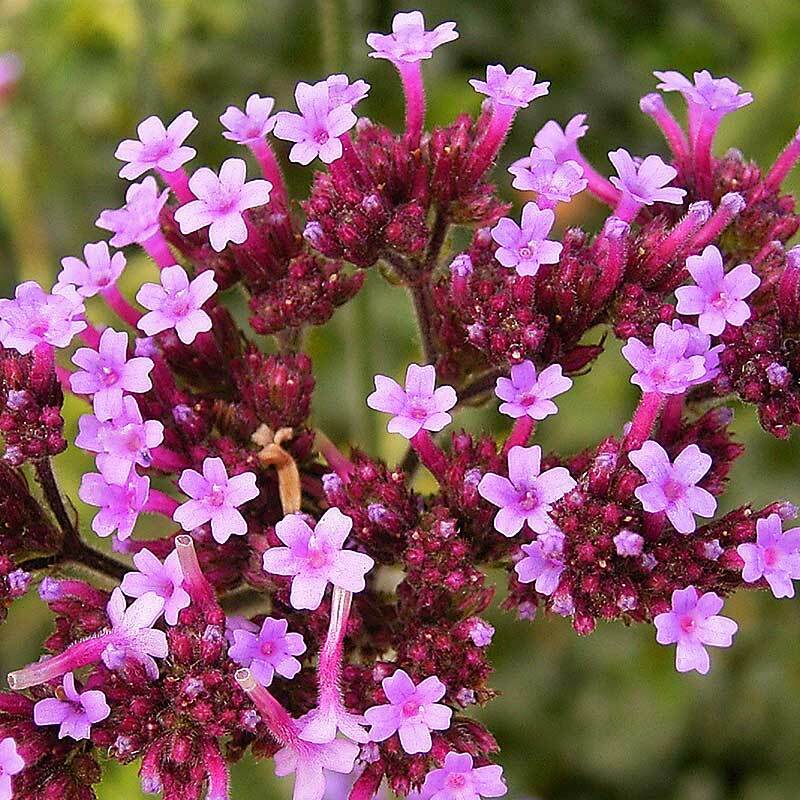 Lacy, serrated petals with flowers up to 1½". Performs well under tough conditions. Bright green, fuzzy balls form on sturdy stems for a delightful accent in the garden. 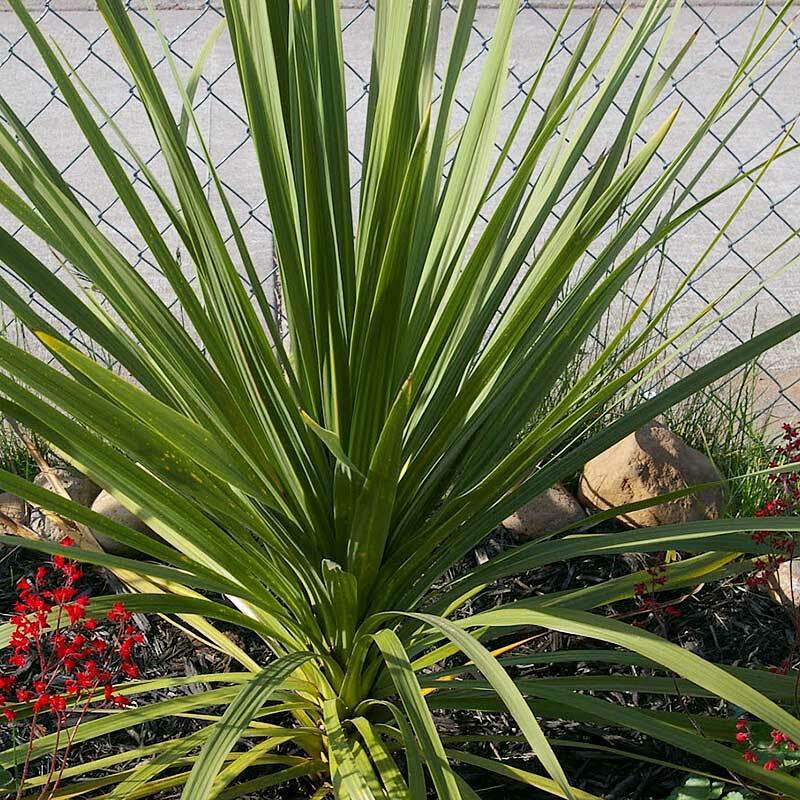 Produces medium green 2' spikes. 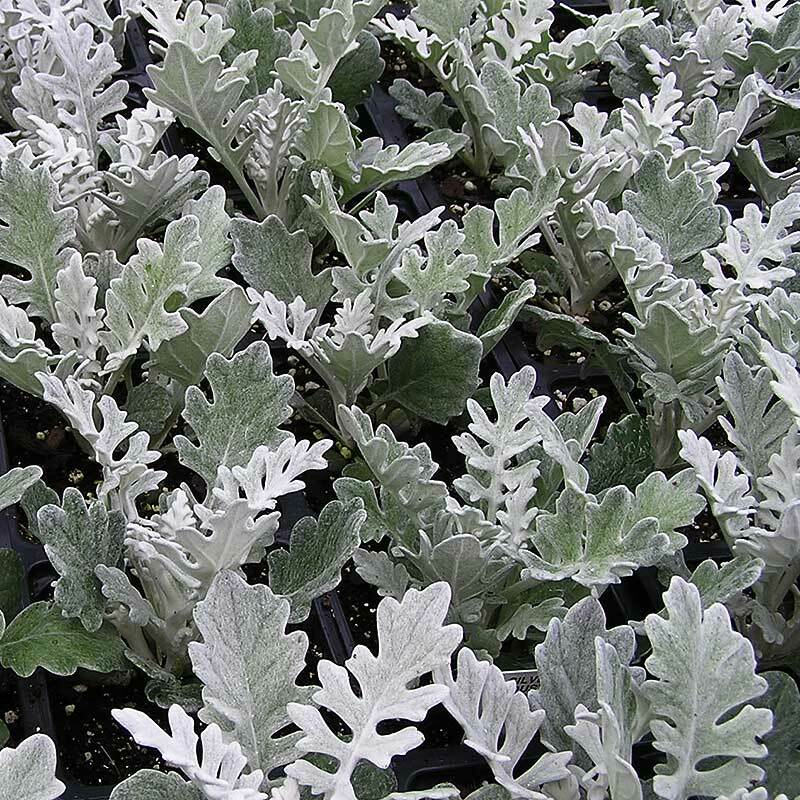 Bushy plants have moderately lacy leaves. 8-10" tall x 6-10" spread. 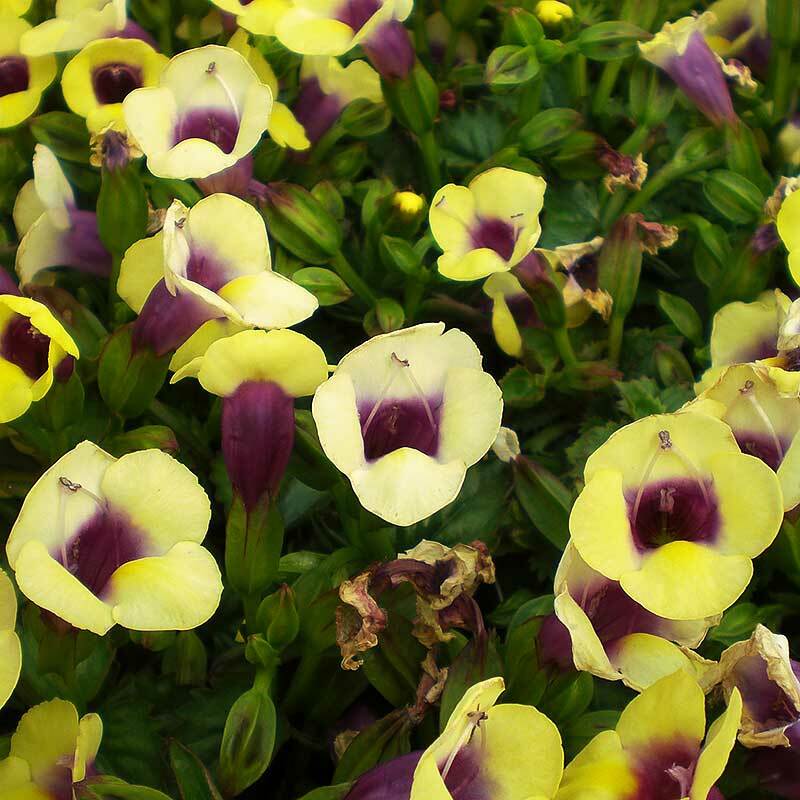 Compact, bushier plant than other varieties. 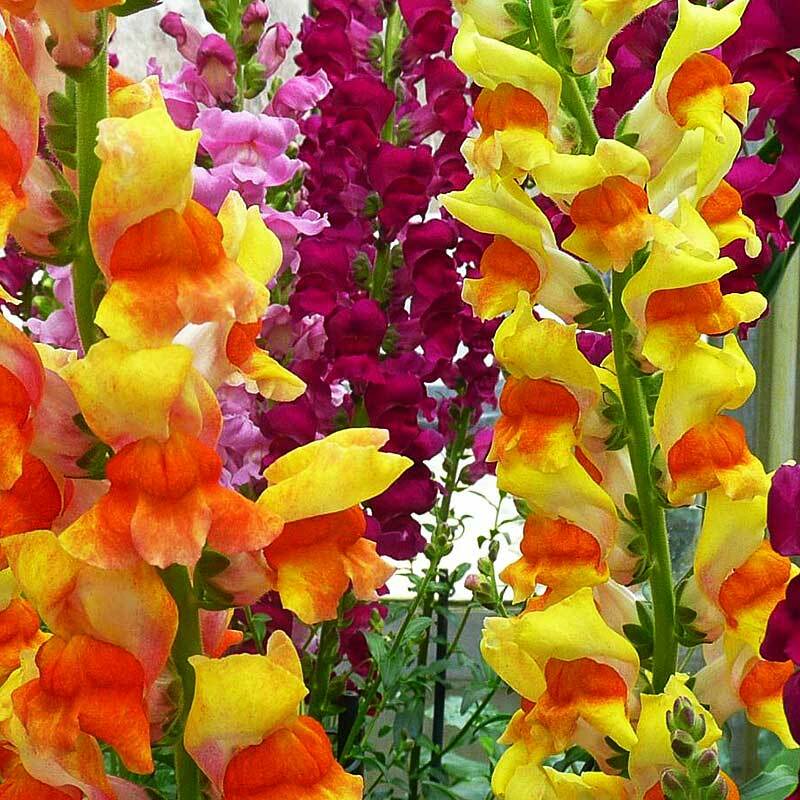 Great in garden or containers. 8-10" tall x 12-14" spread. Colors are: Red, White, Orange, Blue Pearl, Pink, Salmon Splash, and Violet. 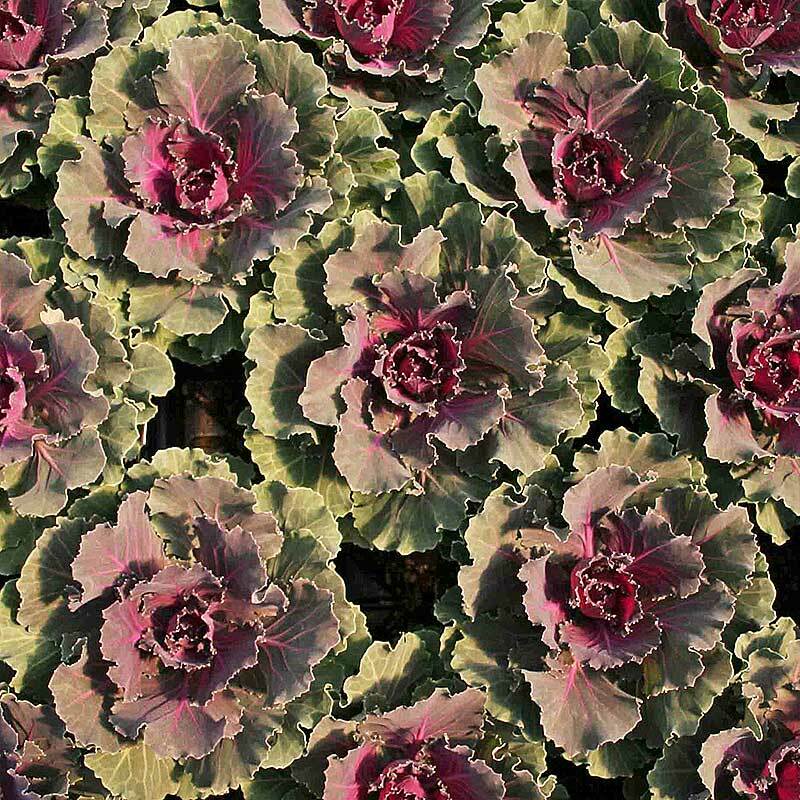 Compact ornamental kale with bright red centers that become more pronounced as the weather cools. Trailing with mounding habit; thick branching. 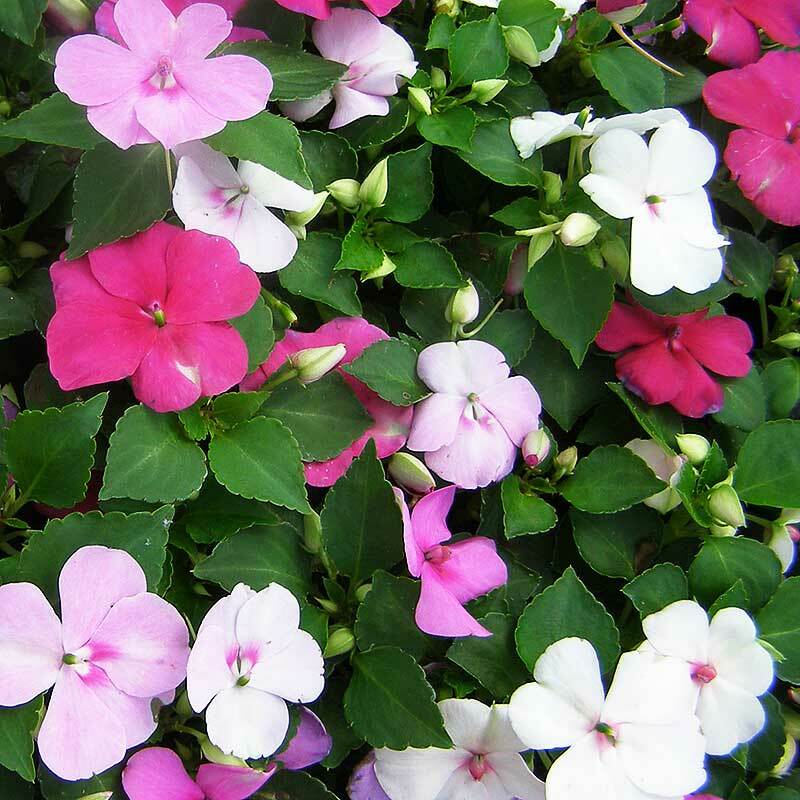 This variety flowers early and all season; heat tolerant. Electric Blue, Upright Dark Blue, White . 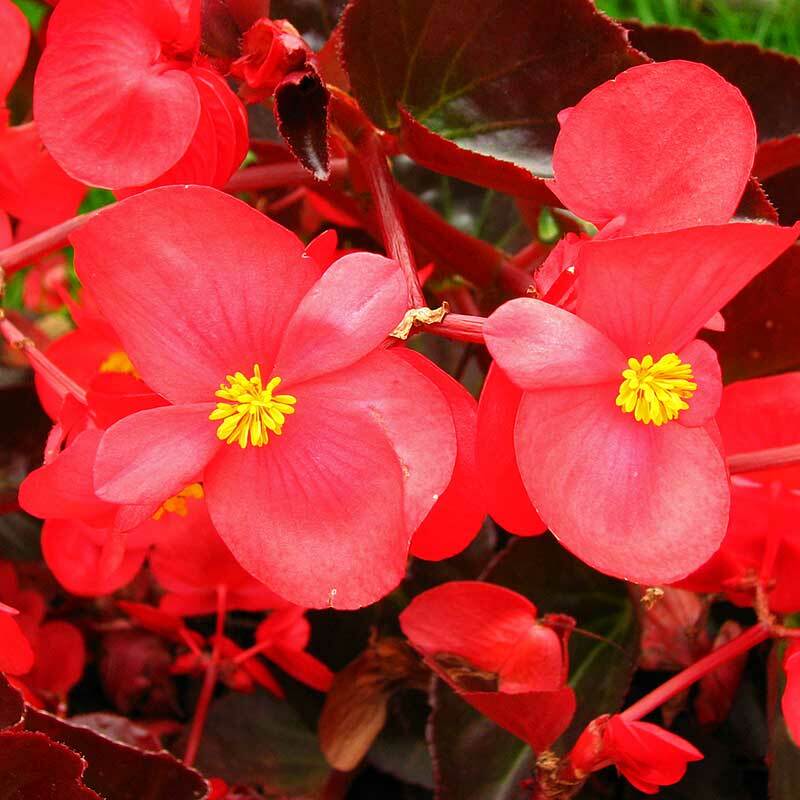 Dwarf variety that blooms early and often. 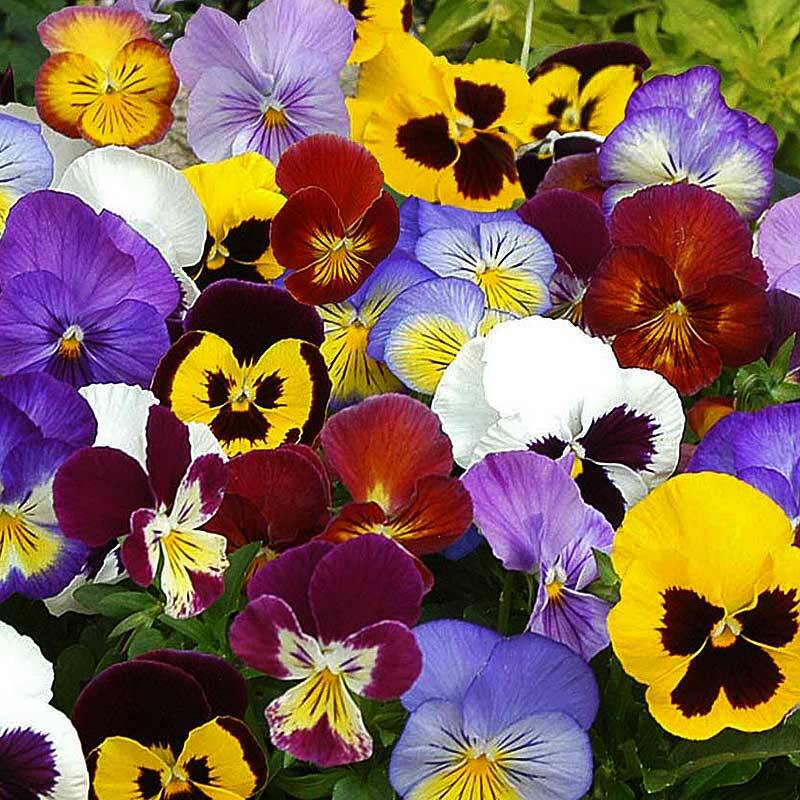 Great for gardens, color bowls and containers. Compact heat lovers all season long. Single 1" profuse, cup-like blooms. Compact plant with large blooms. 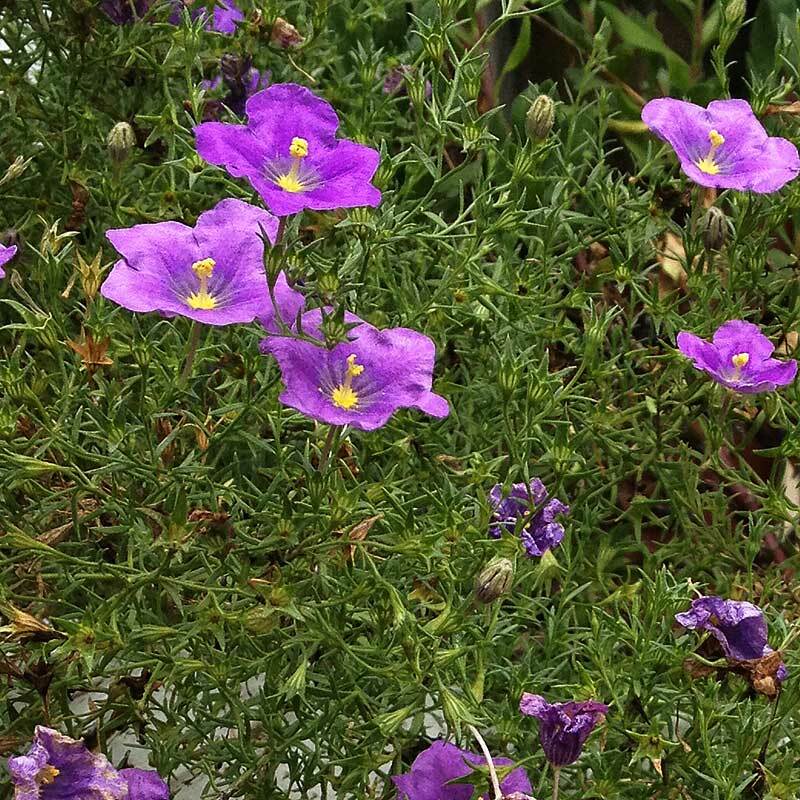 Very uniform with large flowers. Mix-blue, Mix-pinks, Mix-Raspberry Sundae(reds, whites, purples). 10-15" tall x 10-12" spread. 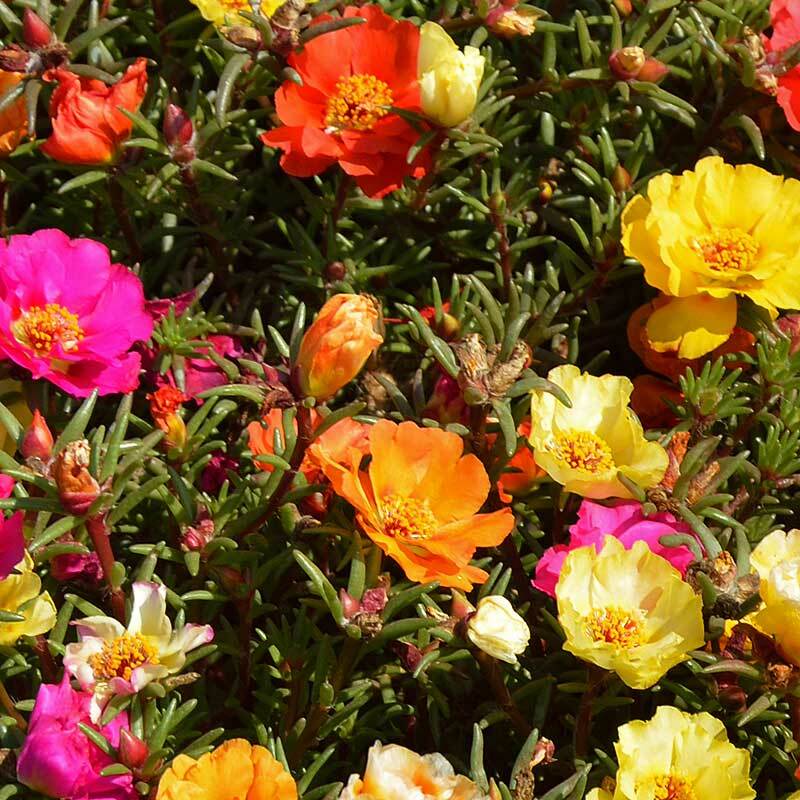 Drought tolerant spreading moss rose that thrives in hot, dry, full sun areas. 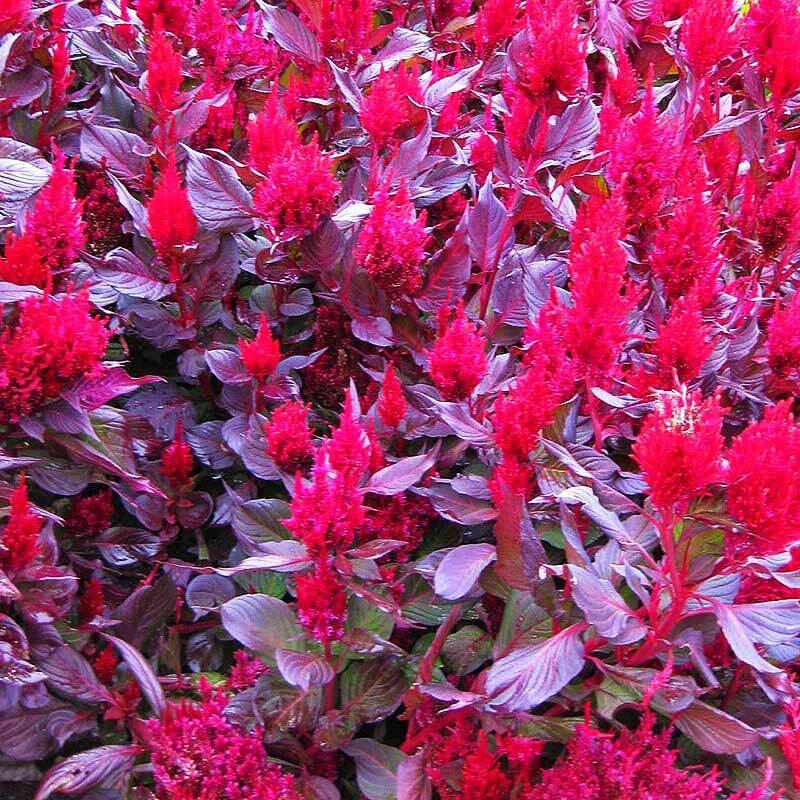 Deep red blooms form good stocky spikes on colorful summer-long displays. Dense branching early to fall. Color: Pink Jewel (white throat). 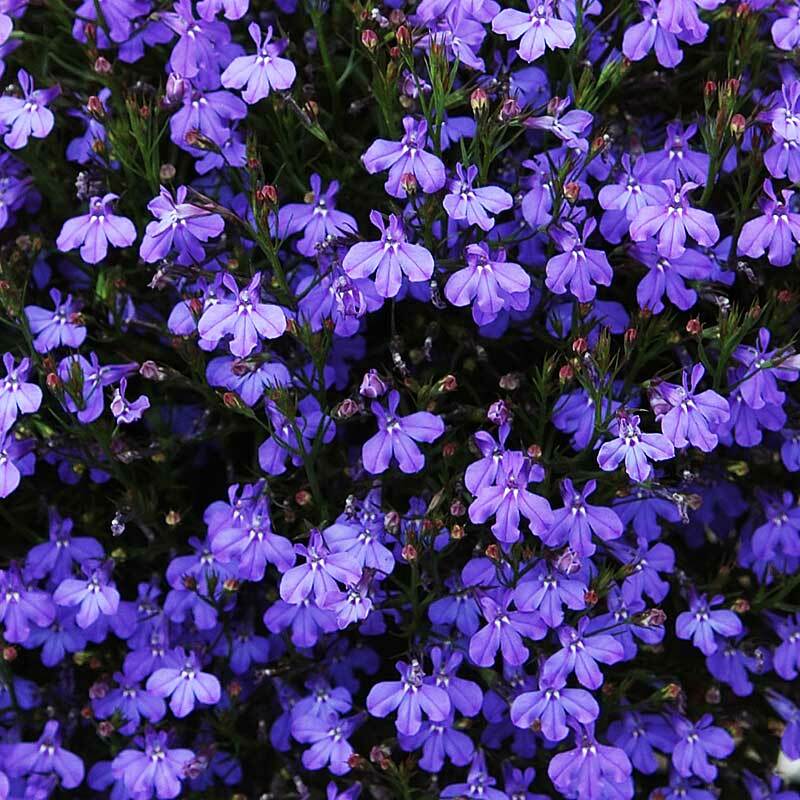 Dark green leaves and deep purple-blue flowers create a showy, garden plant and cut flower. 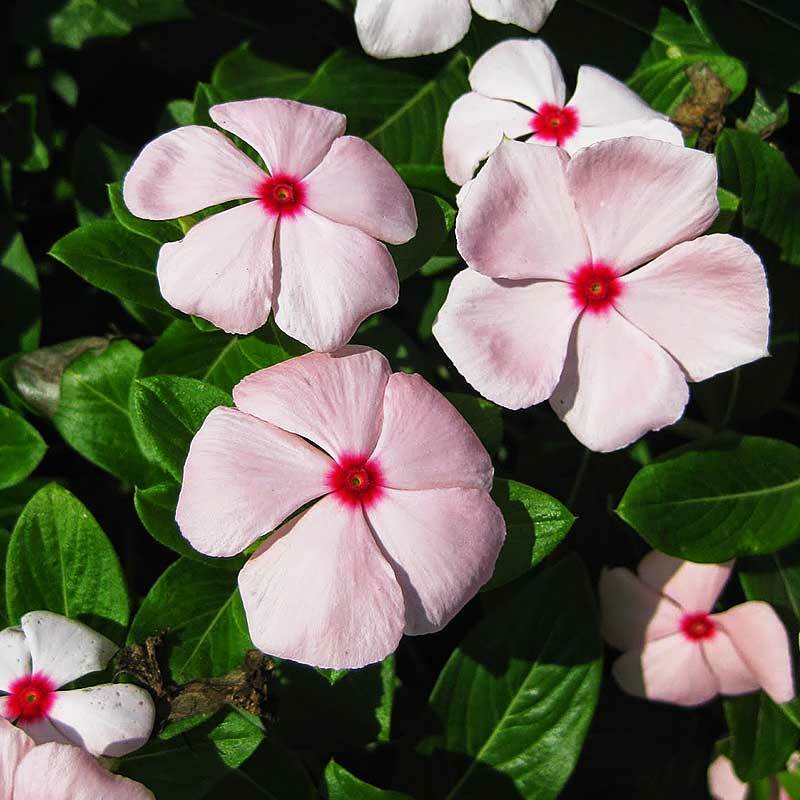 Bushy 6-10" plants offer good branching and exceptionally uniform blooming. 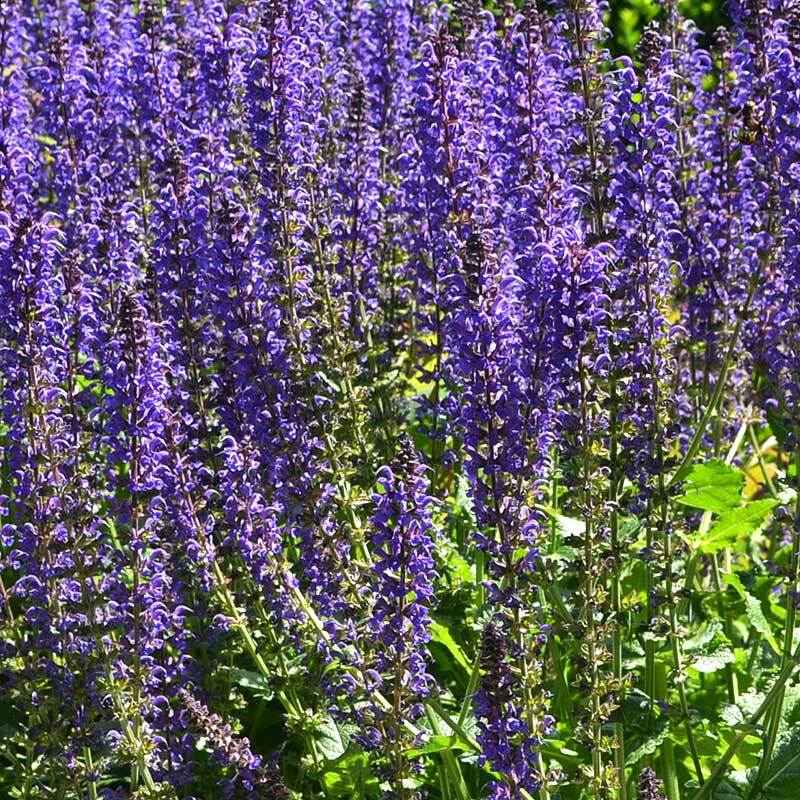 18-22" flower spikes have evenly spaced florets. Upright, narrow , white throated bell-like blooms. 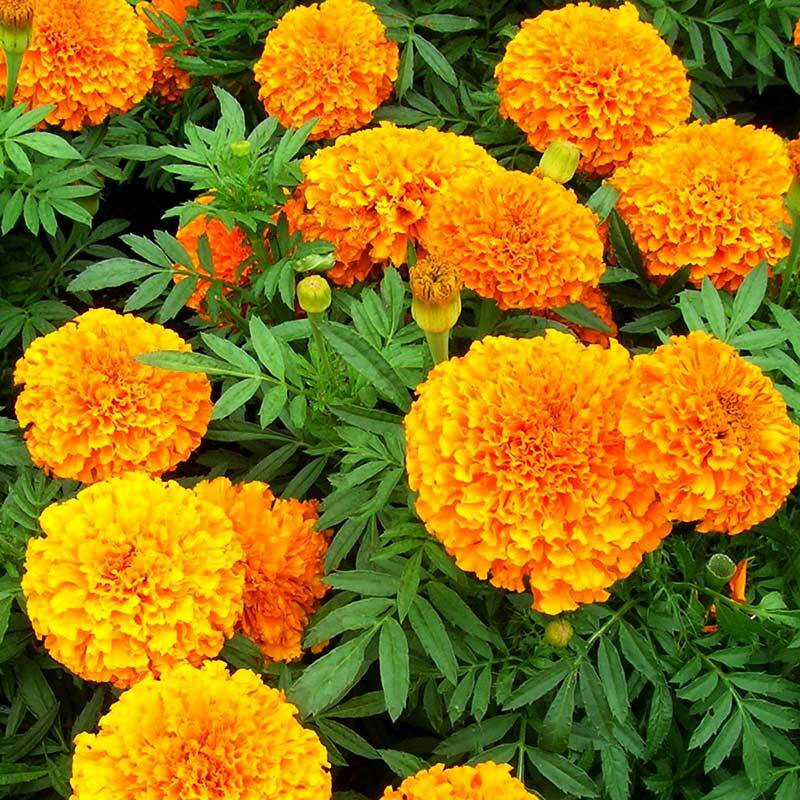 Constant blooms with light green foliage. 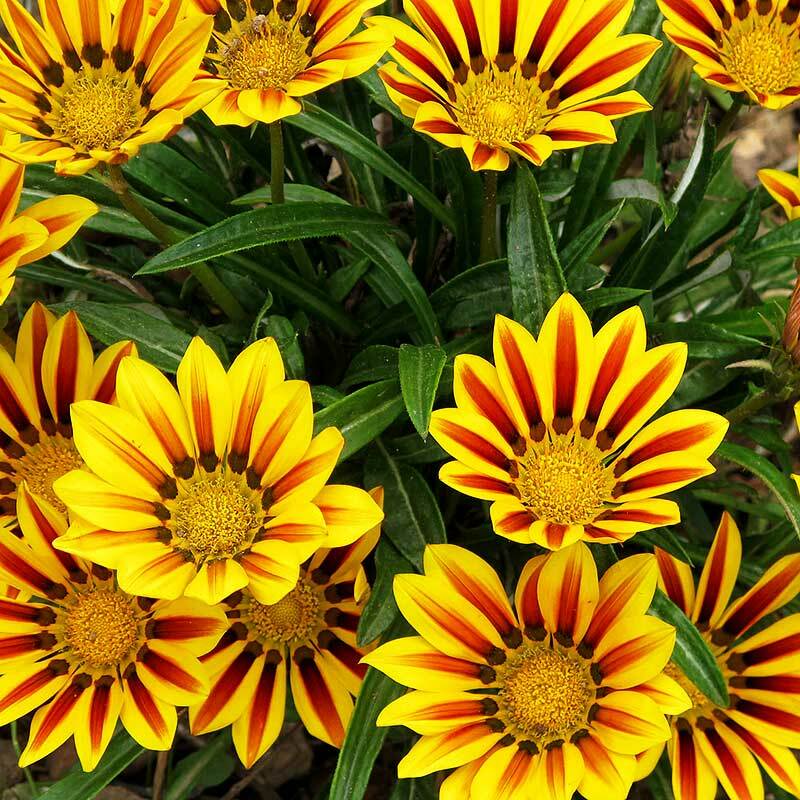 Compact, sun loving plants with flower heads made of multiple blooms. 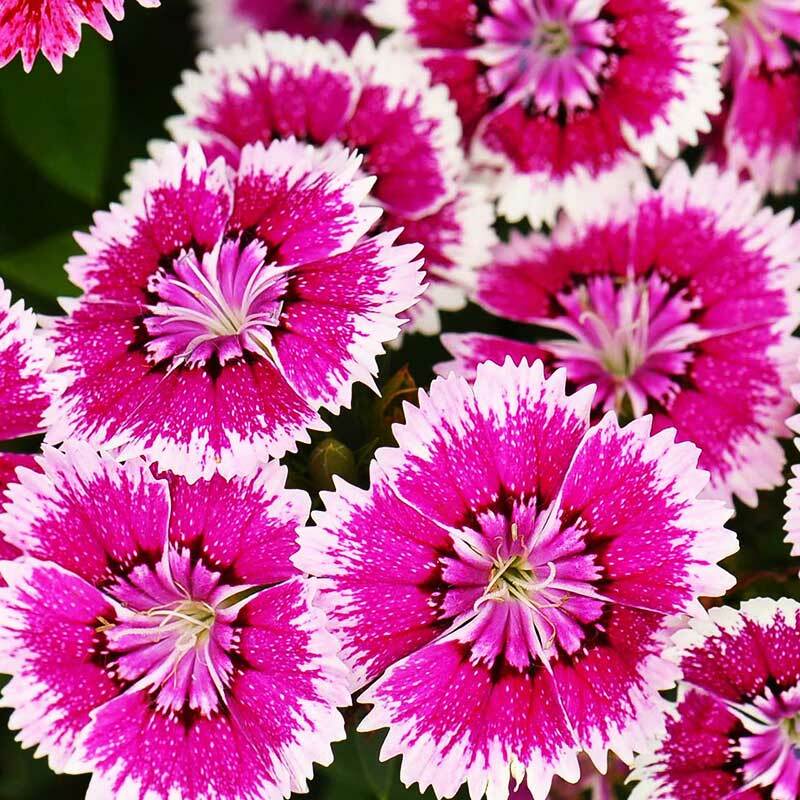 Excellent garden performers with large florets above spreading 10-12" plants. An abundance of showy, 2" blooms. 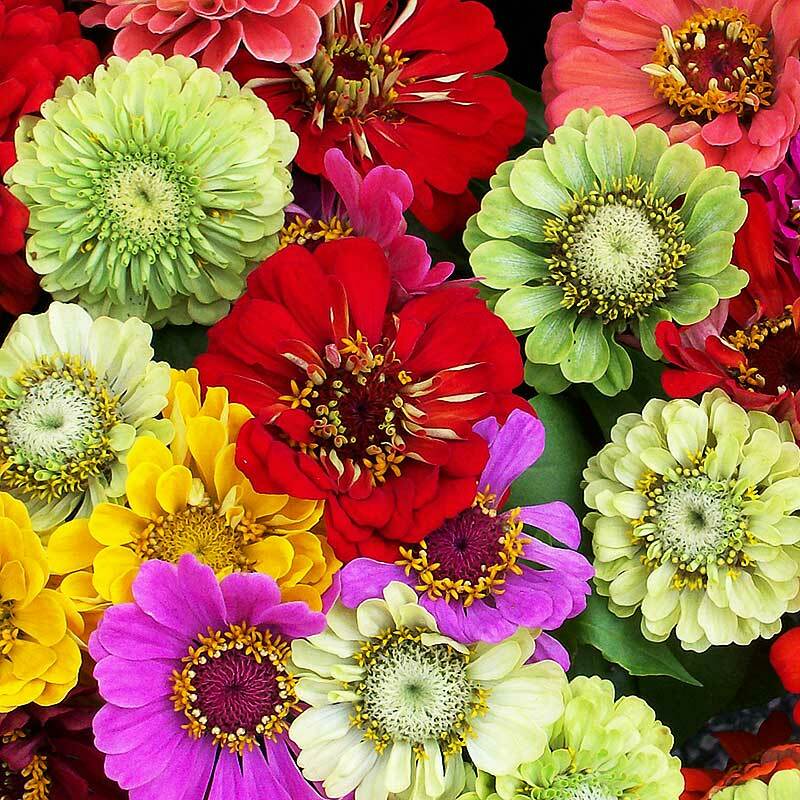 Vigorous, large, fully double blooms in vibrant colors.